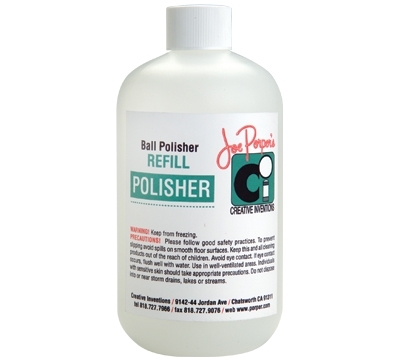 Keep an extra bottle of our Caousel Ball Polisher on hand. You'll be ready when you need to clean a set of balls. For use with the Porper Carousel Ball Cleaner/Polisher (BP33). 16 oz bottle.